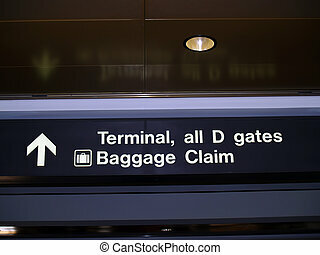 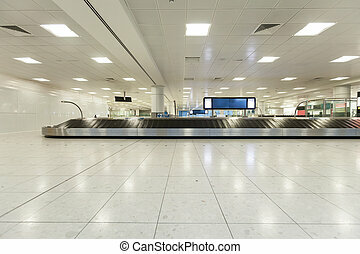 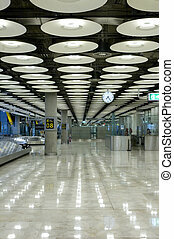 Baggage claim at airport. 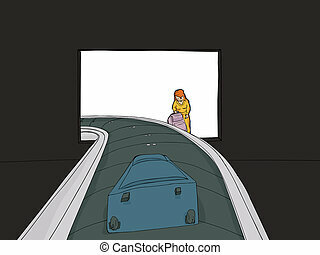 Suitcase on luggage conveyor belt in the baggage claim at airport. 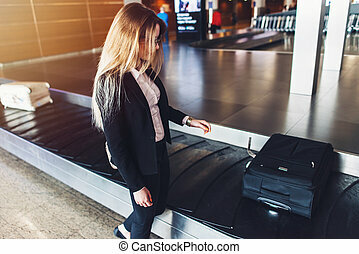 Young businesswoman getting her luggage from baggage claim at airport. 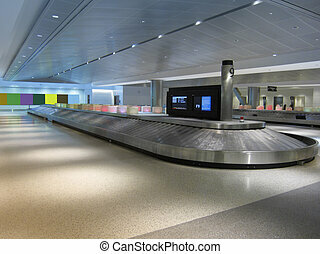 Baggage carousel at the airport. 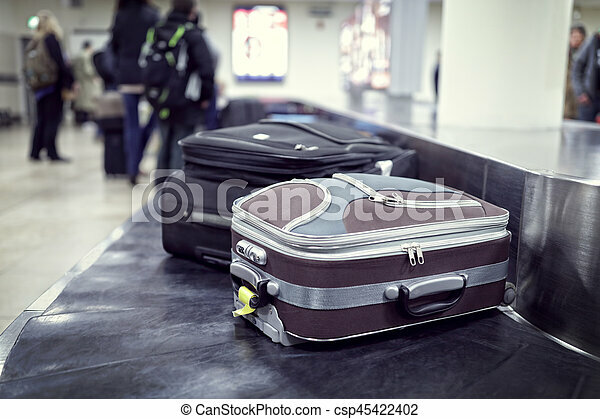 Buggage claim. 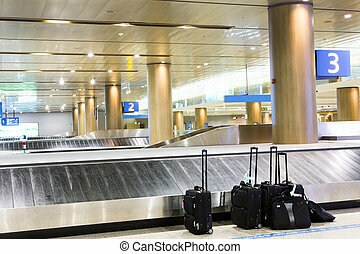 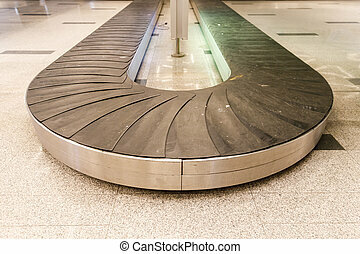 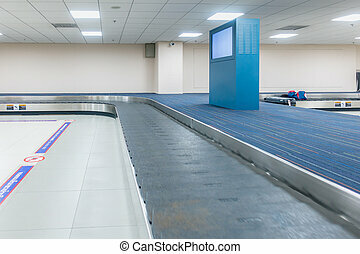 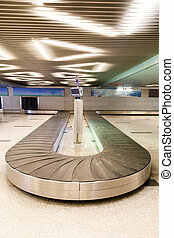 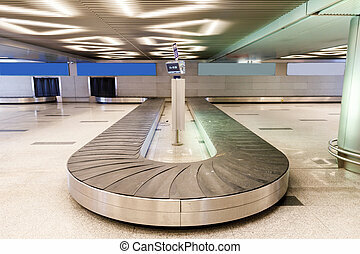 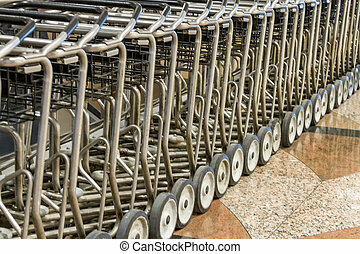 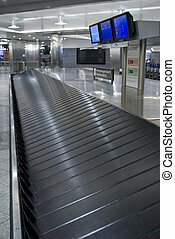 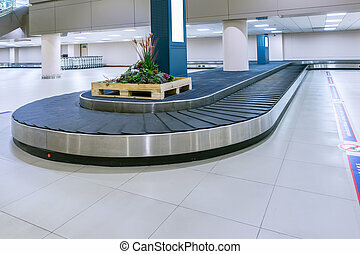 Baggage conveyor belt at the airport.